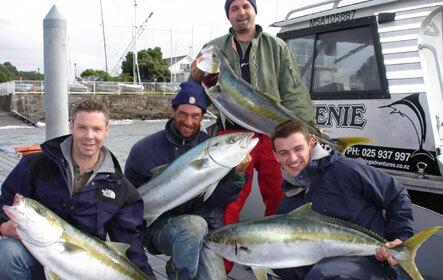 A fishing charter in Auckland New Zealand that's right for you! 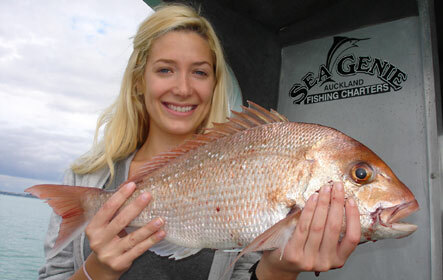 At Sea Genie Charters we have been putting bends in rods and smiles on faces for over 20 years. 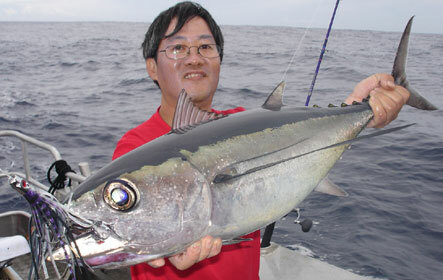 Our experience shows and we are big on making our fishing charters fun, comfortable and memorable while catching plenty. 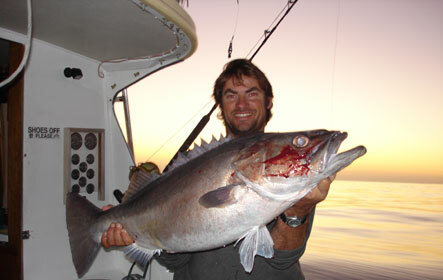 We own and operate our own specialist charter fishing boats "Cygnet II" and "Reef Runner" - no hired skippers here! Our two charter boats have been designed, built and equipped solely for the purpose of charter fishing. 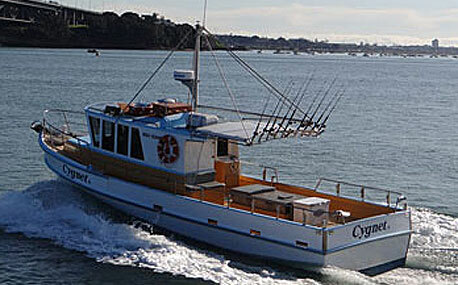 The larger boat "Cygnet II" is 45 feet and built with plenty of space to fish larger groups. 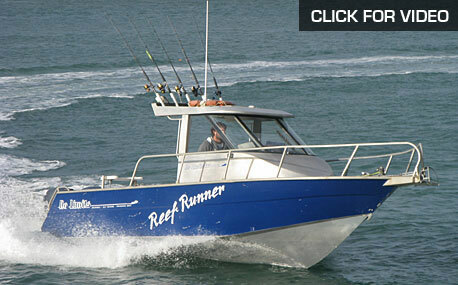 "Reef Runner" is a 27 foot alloy walkaround sportfisher, perfect for smaller groups and lure fishing. 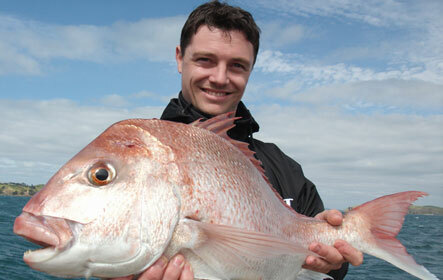 Auckland's Waitemata Harbour and the Hauraki Gulf are renowned as the snapper capitals of the world. 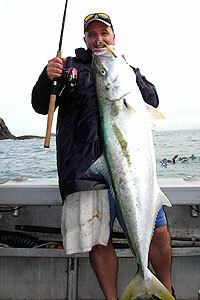 Add yellowtail kingfish and many other species while fishing in sheltered water around the scenic Hauraki Gulf islands just minutes from downtown Auckland and you have a fishing mecca. Our boat records and photos show many personal bests worthy of this description. 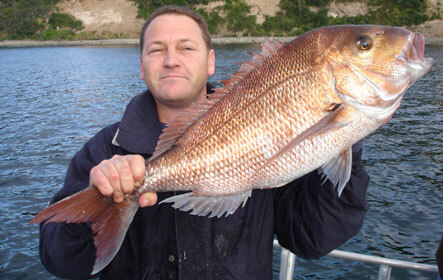 Since launching our first charter boat "Sea Genie" back in 1988, your skipper Eugen de Bruyn has used a lifetime of local knowledge to put all customers, novices and experienced onto good fish all over the Hauraki Gulf, making memorable fishing trips ever since. This includes TV appearances with Geoff Thomas on "Outdoors with Geoff" and the BBC series "Screaming Reels" shown on U.K. channel 4. 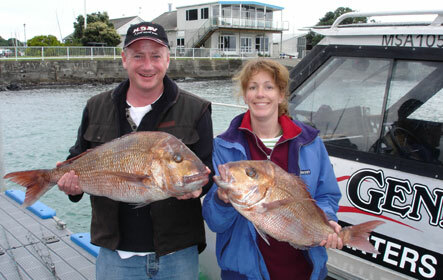 It is no secret why Sea Genie Charters and Eugen de Bruyn were chosen to be the Auckland region Xpert for the fishing map books, as well as trusted to be the New Zealand Fishing News magazine regional correspondent and Auckland fishing report writer. This is because he knows where the fish are! Thanks once again Eugen. I could not think of a better way to spend the day! 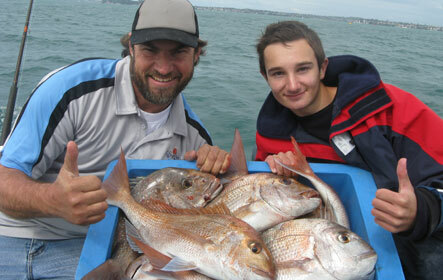 Are you wanting an Auckland fishing charter for you and a few mates to catch a feed of snapper? Maybe trying out some of the latest techniques like soft baiting or stick baits and hard body lures with our gear or yours. We are happy to show you. How about a trip for a small business or work group, visiting guests from overseas even. No problem. Full day, 1/2 day or dusk trips can be arranged. 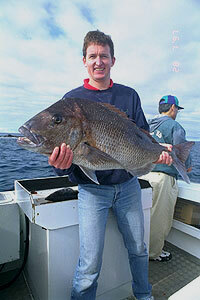 Enjoy fishing on a real specialist fishing charter boat with space, comfort and amenities. There is even a bathroom with a house size toilet on board. It goes without saying we carry the best safety equipment and fishing gear, and back this with attention to every customers comfort and needs. 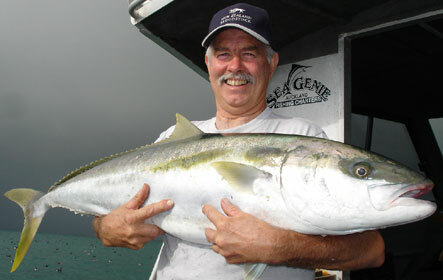 Whether you and your friends are first timers or practiced fishers, at Sea Genie Charters our experience will make your fishing charter the best experience.